For companies that export goods, transport is an important logistical consideration and an essential operating cost that cannot be avoided. Finding affordable and efficient packaging solutions is key to lowering the costs of moving stock, playing a significant role in reducing the overall outlay for transit. 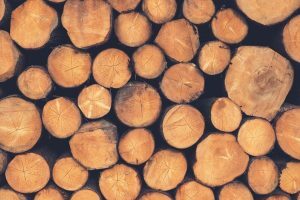 Here we look at just five of the ways that choosing timber-based packaging options such as wooden pallets can help to drive down this critical business expenditure. Timber packaging solutions are cheaper to source and manufacture than plastic and metal alternatives, so they are generally available at a lower price. This means significant long-term savings can be made on choosing wooden products, without compromising on quality. Popular timber packaging options such as wooden pallets are built for purpose, ensuring that goods are transported safely and securely. This vastly reduces the change of stock being damaged or misplaced during transportation, helping to prevent loss of earnings. Wooden transit solutions are completely customisable, so they can be designed and manufactured to meet a wide range of requirements. These bespoke options allow businesses to transport goods efficiently and economically, helping to reduce costs. Wood is resilient and hard-wearing, which makes it a perfect material for use in transit packaging. Because of their long usable lifespan, timber-based solutions offer a reliable transit solution that helps to save money on buying replacements. Another major benefit of choosing wooden transit solutions is that they are very easy to repair, extending their working use. Alternatively, timber products are easily recycled and can be used for a wide range of alternative applications. Based in Birmingham, Nicklin was recently recognised as the winner of the ‘Innovation in the Packaging Sector’ award at the 2018 West Midlands Business Masters Awards. If you would like to find out more about our vast range of bespoke packaging solutions manufactured for the exact needs of your business, please contact our friendly team today on 0121 359 8101.